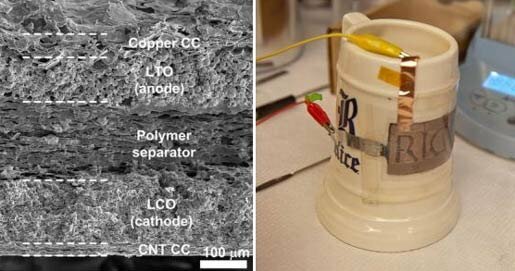 The technique would be ideal for creating batteries within areas that it might be difficult to fit a standard power cell. Almost any surface can be used to host the spray paint power cell; the researchers have successfully applied it to glass, steel and flexible polymer sheets. Future applications could be very interesting with batteries being less bulky and even becoming a “structural” part of the electronic gadget case or car body panel. The technology could also complement solar cells with their large surface area there is opportunity to spray paint a large battery in a layer beneath them.